This post is for Samsung GT-S5282 Battery Connector Ways Problem Solution. If you have broken battery connector prints consult the diagram below. 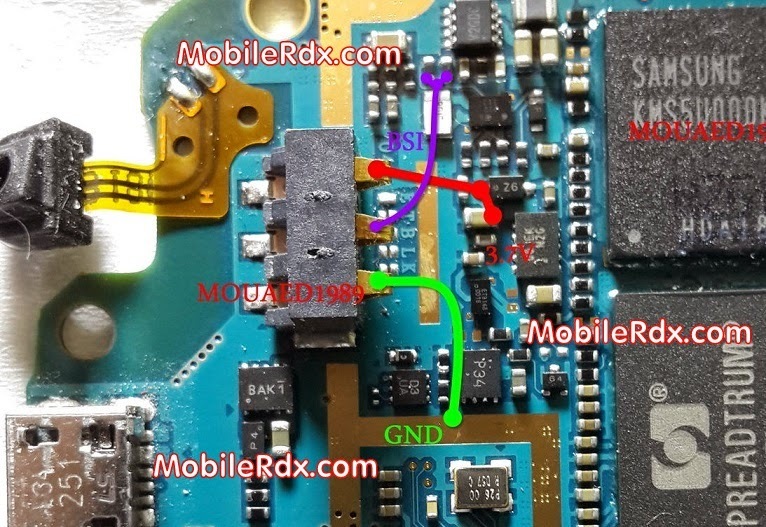 I have marked all three Samsung S5282 Battery connector jumper points in this diagram. Red is for Positive, Blue is for BSI and Green is for Negative battery points. Here Are Samsung GT-S5282 Battery Connector Ways Problem Solutions. Please Observe Carefully.